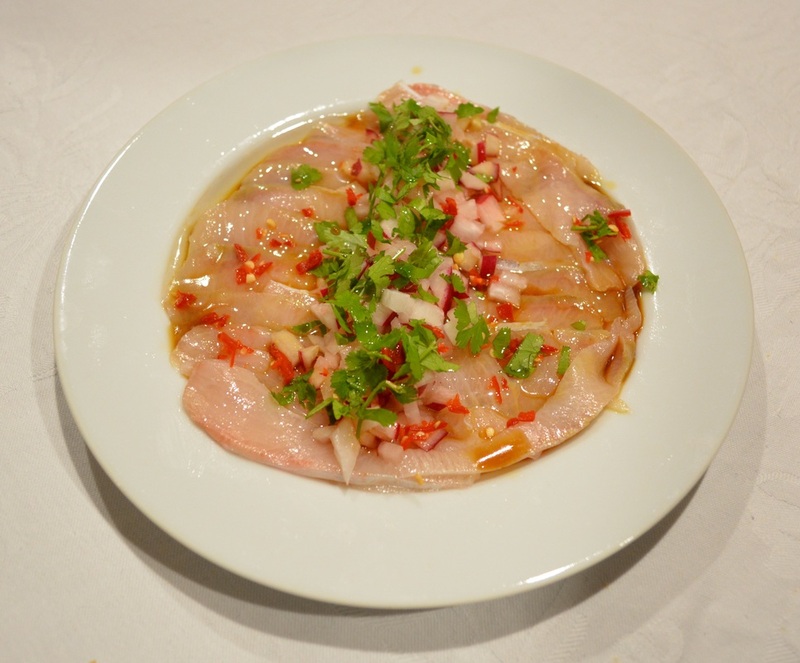 Here is another raw kingfish recipe that my family love. I mentioned previously my husband's love of fishing, well this is another way we love eating the kingfish he catches. This is my oldest son's favourite way to eat fish, he honestly goes crazy for this, there is never enough for him. 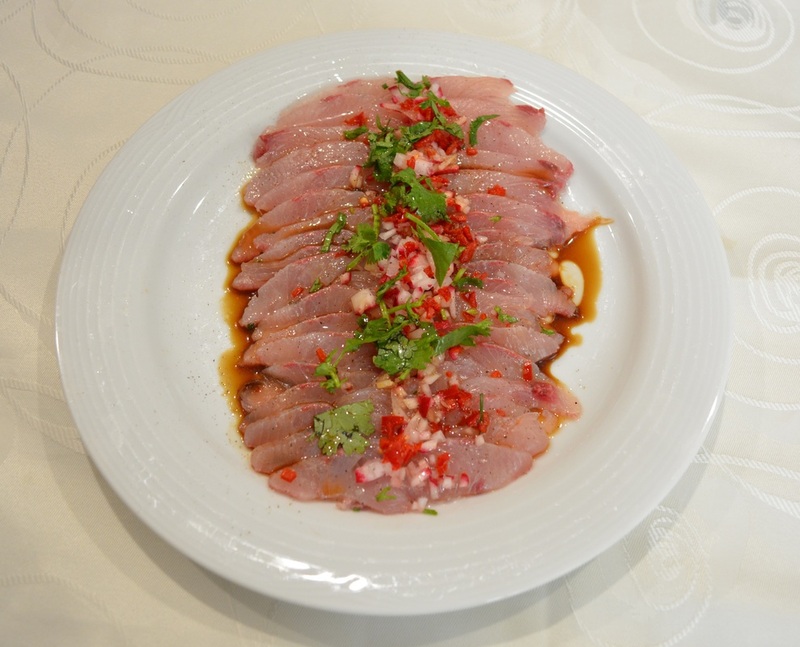 Kingfish when fresh is delicious, it doesn't smell 'fishy' at all, it is light and delicate and truly delicious. This dish is worth making, if you don't have your own fisherman in the family and you trust your local fish shop, buy fresh kingfish, tuna or salmon, just make sure it really is fresh, it needs to be sashimi grade. The kingfish needs to be sliced, slice each fillet very thinly across the fillet, until all of the fillet has been sliced. Place the slices on a plate, cover with cling film, refrigerate until needed. Either grate or finely chop the radishes. Set aside. Finely chop the chilli, set aside. Coarsely chop some coriander leaves, set aside. To serve, either on a large plate or on individual plates, arrange the kingfish down the centre of your plate. Scatter the radish down the centre, then the chilli, then the coriander leaves. Season the kingfish with some salt and pepper. Squeeze the juice of 1/2 a lime all over the kingfish, and add a couple of teaspoons of soy sauce over the fish, this is to taste. Then drizzle over some olive oil. Serve immediately.